Integrated pest management (IPM) is a mandatory requirement in the UTZ Code of Conduct. But how does IPM work in practice and what are some of the techniques used on UTZ farms? 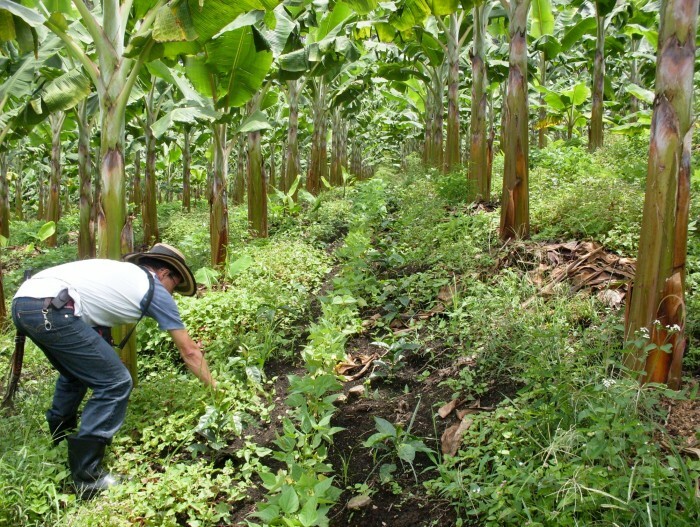 We spoke to Fabián Calvo Romero, pest management expert, about three alternatives to pesticides – cultural, mechanical and biological techniques – with examples from UTZ farmers around the world. Pesticides can be harmful for farmers, consumers and the environment. That’s why on UTZ farms pesticides are only used as a last resort. UTZ farmers are trained in IPM using a range of good agricultural practices and non-chemical measures to reduce pests and disease and avoid the use of chemicals. One of the first steps in IPM is making sure that the environment on the farm doesn’t encourage pests. These ‘cultural’ methods include, for example, the management of so called shade trees planted on the farm. These shade trees ensure the right micro climate for the coffee or cocoa plants – not too humid for instance. This helps to prevent pests and diseases from taking hold. If a farm does experience a pest outbreak, UTZ farmers may use mechanical methods – tools and techniques that directly kill or remove pests, without the use of chemicals. In Vietnam, for example, water is used to wash mealybugs off coffee plants and then lime is applied to the soil to kill the bugs once they’ve been removed from the trees. 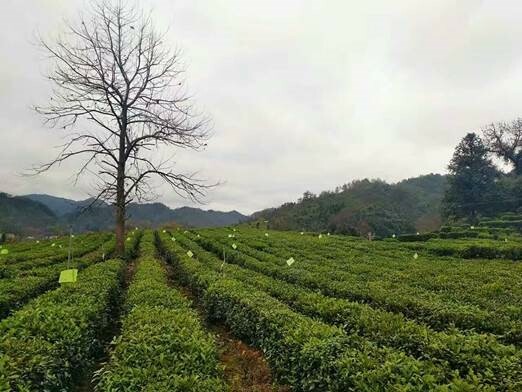 Another example, this time from China, is the use of sticky traps in tea plantations that capture pests including leafhoppers (Empoasca) and aphids. 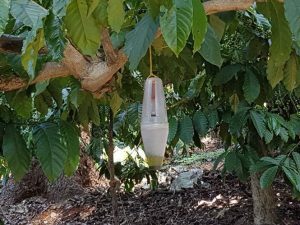 Biological pest control: pheromones attract ants to control mosquito bugs on cocoa plantations in Vietnam. Biological control is a method to control pests using other organisms. For instance, fungi predators or parasitoids can also be used to control pests and diseases. In Vietnam, for example, the black ant (D. bituberculatus) is used to protect cocoa plants against mosquito bugs (Helopeltis spp). 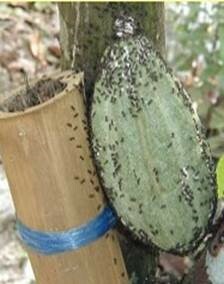 The ants scare away or eat the mosquitoes who would otherwise damage the pods. Another biological control method is the use of pheromones that attract and trap insects or disrupt their mating, which results in a reduced pest population. 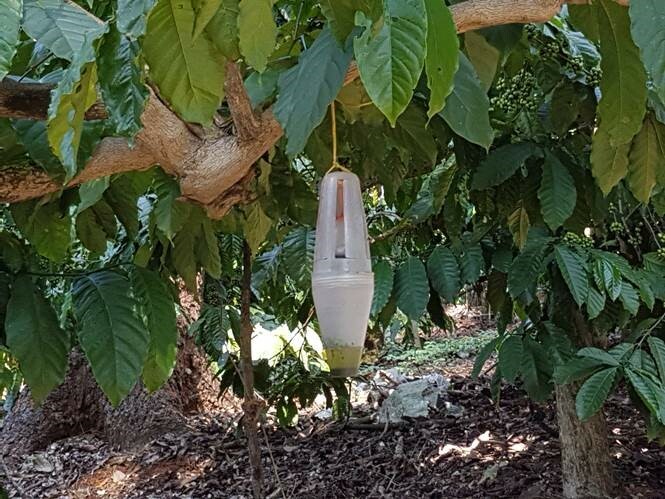 For example, pheromone traps are used to control coffee berry borer, one of the most serious pests affecting coffee crops around the world. In Perú, coffee farmers are applying fungus spores (Beauveria bassiana) to combat this pest. Your can read more on Integrated pest management or contact us here.